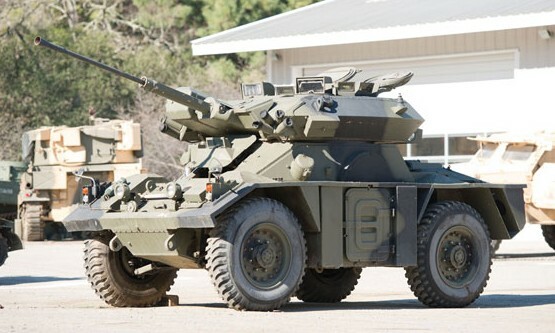 The Fox was Britain’s replacement for the Ferret armored scout car. It was designed and manufactured by Alvis, beginning in 1973. The final Foxes were withdrawn from service in 1994. The Fox here is one of the original prototypes and remains in original condition. The engine is a 4.2-liter straight-six from Jaguar making 190 horsepower. It should sell for between $30,000-$40,000. Click here for more info. 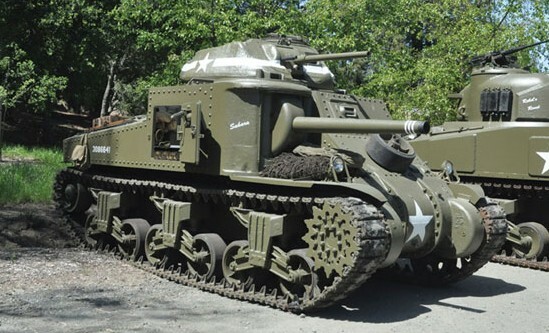 The M3 Lee was designed prior to America’s entry into WWII. They were operational around the time Pearl Harbor was attacked. 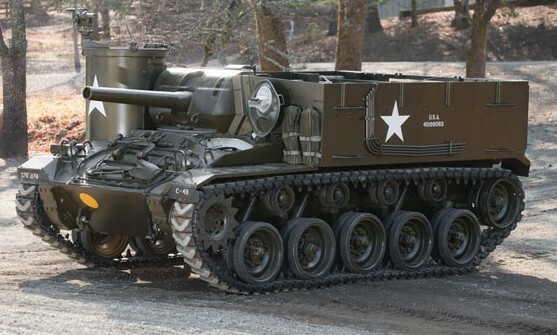 In 1942, a new variant, the M3A5 was introduced. The “Grant II” – as it was called – used a GM engine and was built by Baldwin Locomotive Works. This tank was shipped new to Australia and uses a 12-cylinder diesel making 375 horsepower. It will do 25 mph and cost the new owner between $300,000-$400,000. Click here for more info. The Panhard EBR (which is the French abbreviation for “Armored Reconnaissance Vehicle”) was designed prior to World War II but didn’t actually go into production until 1950. It was produced in three versions, with the 90-mm cannoned version you see here starting production in 1963. It’s an impressive setup: eight-wheel drive. It’s powered by a 200 horsepower Fiat 6.0-liter flat-12. About 1,200 were built and the last ones left the French military in 1987. This one should cost between $100,000-$125,000. Click here for more. The BTR-152 was built by ZiS (from 1950 until 1956) and later by ZiL (through 1962). In total, about 15,000 were built. It’s an armored personnel carrier from the Soviet Union. The engine is a 107 horsepower straight-six. This example isn’t in the best of shape, but it does run and drive “very well,” according to the auction catalog. 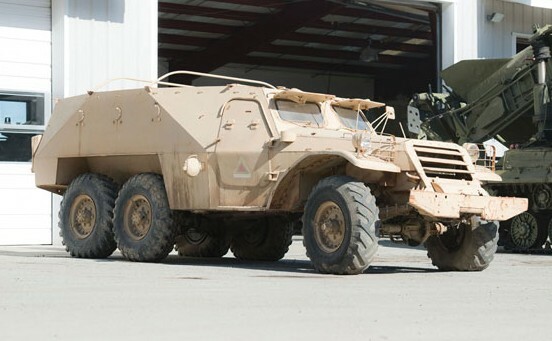 This one wears Egyptian Army markings and should sell for between $15,000-$25,000. Click here for more info. This beautiful HMC (basically a motorized Howitzer… artillery on wheels) was built in late 1945 and therefore didn’t see action in WWII. It was built by the American Car and Foundry Company (ACF for short). 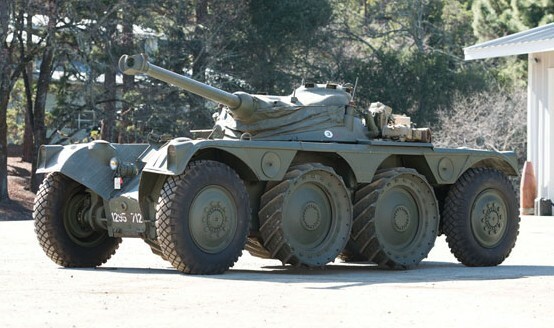 It was based on the American M24 Chaffee tank. The engine is actually two Cadillac 8-cylinder engines – making it a 16-cylinder monster putting out a combined total of 220 horsepower. Only 316 were delivered out of a total of 448 orders. Everything on this one still works – so if you’re celebrating the 4th of July today, here’s your firework machine. It’ll cost you between $200,000-$250,000. Click here for more info and here for the rest of this amazing collection. This entry was posted in Uncategorized and tagged 105-mm, 1942, 1945, 1960, 1963, 1973, acf, alvis, auctions, auctions america, baldwin, btr-152, carriage, classic, ebr-90, fox, fv721, grant ii, howitzer, m37, m3a5, military vehicles, motor, panhard, prototype, tanks, zil by classiccarweekly. Bookmark the permalink.